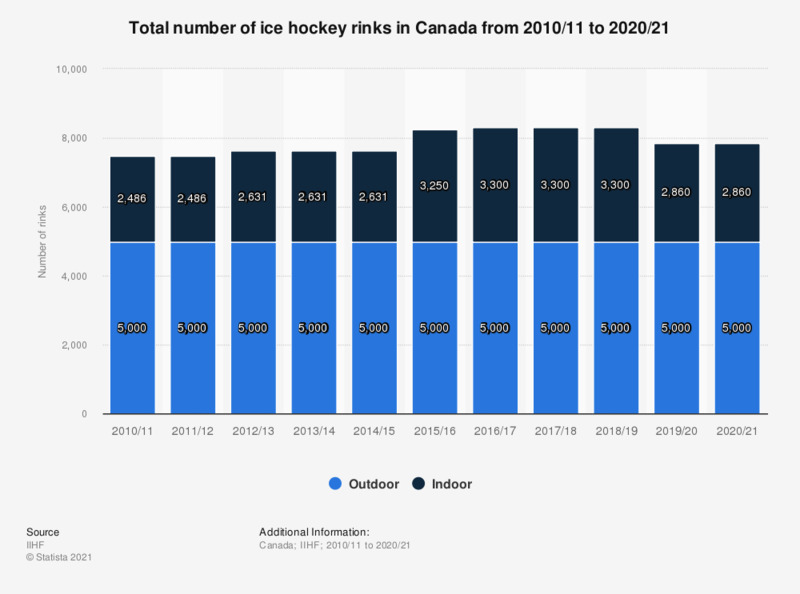 The statistics depicts the number of ice hockey rinks in Canada from 2010/11 to 2017/18. In the 2017/18 season, there were a total of 3,300 indoor ice hockey rinks in Canada according to the International Ice Hockey Federation. Everything On "Winter Sports" in One Document: Edited and Divided into Handy Chapters. Including Detailed References.